It’s the end of August, friends, and as the weather gets ready to turn and the kids head back to school, it’s also time for the year’s first harvest! While gourds and pumpkins will be decorating our porches soon enough, we now get to enjoy the first fruits of the season. In our neck of the woods, this means my beekeeper husband is harvesting honey. After he does all the hard work to gather the spoils of his labor, we get to enjoy. And let me tell you, the spoils are pretty sweet indeed! 3 cheers to good health! There is scads of information about the benefits consuming local honey, specifically in regards to combatting allergies. The more local, the better, so we are in pretty great shape having bees who work hard for us in our very own yard! Honey. There are so many delicious ways to enjoy fresh, raw honey as a topping for fruit and yogurt, a baking ingredient, a tea sweetener…the list goes on and on! And the taste is so far superior to anything store-bought! 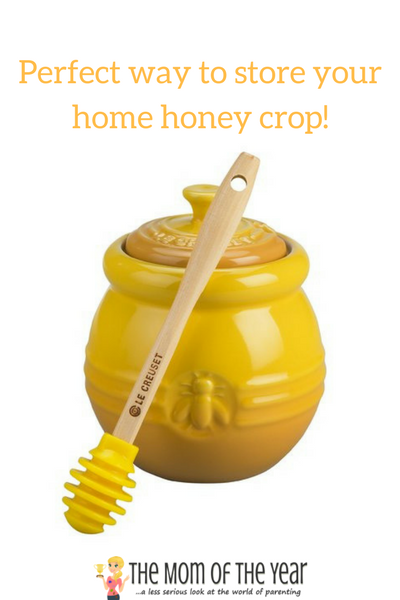 I love the jars my husband uses, but if you have a very small crop or want a fancy way to serve your honey, this jar from Wayfair is perfect! Honeycomb. 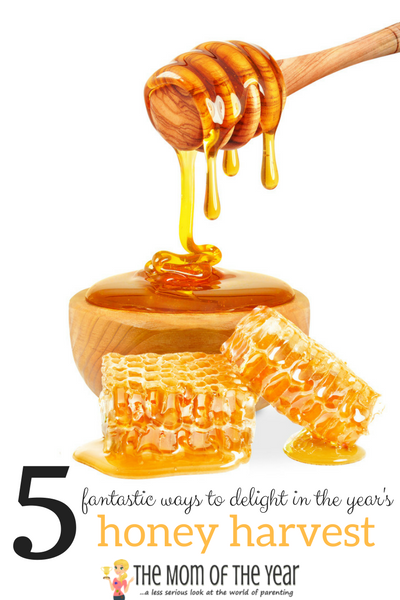 The honeycomb and its wax are incredibly useful by-products of honey production. On the commerical market, there are zillions are of products available. On our small homesteading scale, it is a tasty treat to chew as is, but we have also experimented with rustic candle production. Knowing you are supporting the environment. Bees are responsible for pollinating not only pretty flowers, but 85% of the food crops we eat, plus most of what livestock eats. We are dependent on them, not just for honey, but all of our food supply. And with more bees recently added to the endangered species list, nurturing local honey bees is such a important, hands-on way to love on our environment. Reinvesting in next year’s crop. 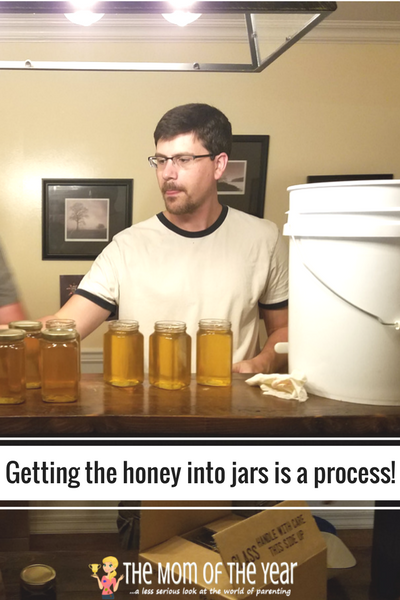 My husband doesn’t earn much income from his hobby, but being able to sell a small amount of jars to local friends and family is not only appreciated by them, but allows him to reinvest funds for the following year’s efforts. My husband has many hobbies, but his beekeeping hobby is one of my favorites. He enjoys the challenge so much and the delights of our honey harvest are something we look forward to all year! This is so cool!!!!! The jars are so pretty too!! Thanks for sharing this with us. Thanks for being so encouraging, Kathy! Oh I wish I was a local! I use honey in my bodywash. It’s raw honey from the grocery store. I want some REAL raw honey! That is such a cool use for it, Kenya! Love it! THANK YOU for sharing this! I’ve wanted to do this for years but don’t quite have the space for it yet. Keeping the bees going is such an important job. We cannot live without them. My favorite salad has bit of honeycomb. It’s amazing!! 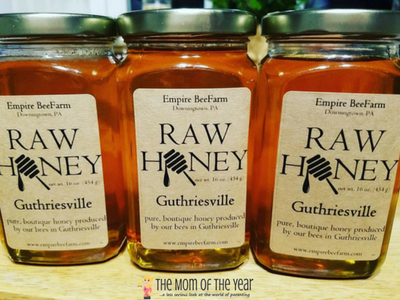 I love, love, love raw honey! What a great “hobby” and everyone benefits from it! Great post! Love that you guys are saving the bees! Such a scary thing happening. Also where can I buy your honey? Or am I too far away for that to be ethical?